Venus Flytrap (feminized) by Nirvana Seeds has been created to keep both the grower and the smoker happy. Venus Flytrap by Nirvana Seeds is an enhanced Skunk variety, bred to keep the grower and the stoner happy. 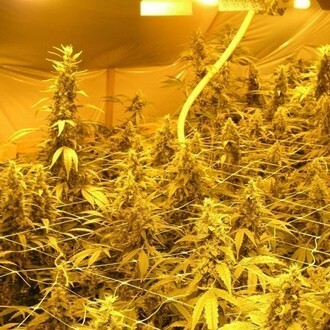 The plant grows pretty much like a Sativa and reaches a medium height, wherein it develops large, elongated buds with only a few leaves, making it easy to trim the crop. The central umbel forms out like a loooong foxtail. Venus Flytrap (feminized) by Nirvana Seeds has a flowering period of 8-10 weeks and is a very heavy yielder. The plants can produce a whopping 450-550g/m² in a SOG environment. The final product has a fuely, pungent taste and provides an uplifting, cerebral high. Venus Flytrap is suitable for both indoor and outdoor cultivation.